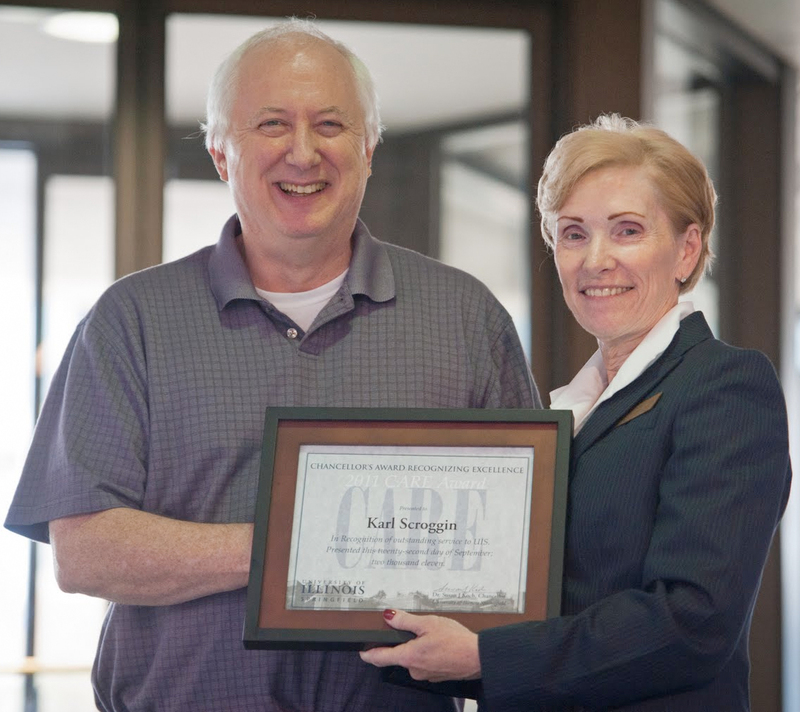 Karl Scroggin, broadcast music specialist for WUIS radio, was honored with the 2011 Chancellor’s Award to Recognize Excellence in Civil Service during a September 22, 2011 luncheon. Scroggins has worked for WUIS since 1977 and is the host of “Classics with Karl Scroggin”, which can be heard Monday through Friday from 9 a.m. to 1 p.m. Scroggin is known for his baritone voice, quiet demeanor, and widespread respect throughout the classical music community. The award was handed out as part of the 5th annual Civil Service Appreciation Day, which honors the approximately 320 civil service employees at UIS for all of their hard work and dedication. This year’s celebration included a variety of door prize drawings. 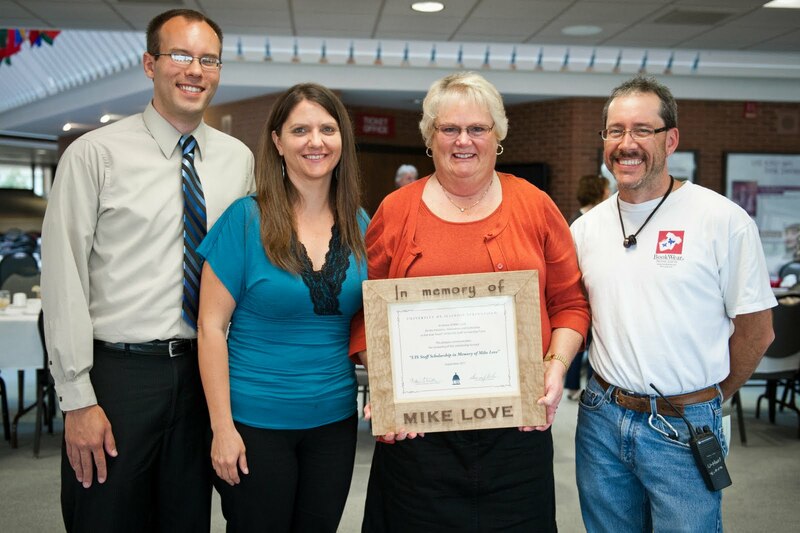 In a special recognition during the event, the Staff Scholarship at UIS was renamed in memory of Mike Love. Love was a former UIS employee who was very passionate about the scholarship. Love’s family was presented with a special plaque of recognition. The Staff Scholarship was started in 1995. A total of 23 people have received the scholarship, with a total payout of $27,000.